FAILLON, ÉTIENNE-MICHEL, priest, Sulpician, professor, and historian; b. 29 Dec. 1799 at Tarascon, dept of Bouches-du-Rhône, France, son of Jacques-Michel Faillon, surveyor, and Claire Raoûx; d. 25 Oct. 1870 in Paris. Étienne-Michel Faillon attended the lycée of Avignon and the Séminaire d’Aix-en-Provence, then continued his theological studies with the Sulpicians in Paris. Ordained priest on 18 Sept. 1824, he became a member of this community, and stayed a year in the novitiate at the Solitude d’Issy-les-Moulineaux, near Paris, where the priests who were to work in the grand seminaries were prepared. There he met the future superiors of the seminary of Saint-Sulpice at Montreal: Joseph-Vincent Quiblier*, Pierre-Louis Billaudèle, and Joseph-Alexandre Baile*. 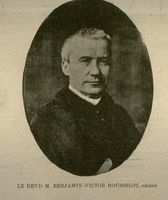 From 1826 to 1829 Faillon taught dogmatic theology at the Grand Séminaire de Lyon. In his first years of teaching Faillon prepared two hagiographical accounts for his pupils, and more especially for clergy engaged in pastoral work in working-class environments: Vie de M. Démia, instituteur des Sœurs de S. Charles . . . (Lyon, 1829), and Vie de M. de Lantages, premier supérieur du séminaire de Notre-Dame du Puy (Paris, 1830). In 1829 he was appointed a professor in the Paris seminary. In addition to giving instruction in patristics, he took an interest in the history of the training of clerics and in the subject of catechisms. His responsibility for catechism led him to write a Directoire des associées du catéchisme de persévérance de Saint-Sulpice (Paris, 1830), and Histoire des catéchismes de Saint-Sulpice (Paris, 1831), and also a Méthode de Saint-Sulpice dans la direction des catéchismes (Paris, 1832). In 1837 Faillon left Paris to become director of the Solitude. His new duties were less immediately connected with teaching, but they did not divert him from intellectual work. A first edition in two volumes of the Vie de M. Olier, fondateur du séminaire de S. Sulpice accompagnée de notices sur un grand nombre de personnages contemporains (Paris), which he had begun early in 1830, appeared in 1841. The French historian René-François Rohrbacher drew inspiration from this work for his monumental 29-volume Histoire universelle de l’Église catholique (Paris, 1842–49). Faillon’s life of Jean-Jacques Olier was particularly appreciated by ultramontanes: “an extraordinary book . . . the most admirable biography I have read,” exclaimed Louis Veuillot. The Paris journal L’Université catholique considered it a book “written in the German manner,” one characterized by concern for erudition. The book’s great merit is that it recreates the social and religious context of Olier’s work. This important study had three editions in Faillon’s lifetime and a fourth edition appeared three years after his death; two English editions were published in 1861 and 1885. In the fourth edition the first volume recounts the origin of Olier’s apostolate among the clergy; the second, the portion of his life devoted to ministering in the parish of Saint-Sulpice. The third discusses the work of the seminaries. Some critics, for instance in the Semaine religieuse of Paris, see in it a “model of its kind.” Faillon was to publish other significant works in Europe, conforming to a type of apologetic history that 19th century Catholics found particularly palatable. The Sulpician historian made three trips to Canada, staying about seven years in all, from October 1849 to June 1850, from May 1854 to September 1855, and from November 1857 to June 1862. 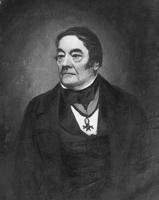 As assistant general of the society, he was responsible for visiting the Sulpician houses in America, and he made contact with the women’s communities at Montreal established under the French régime. His experience in the field of hagiography led him to agree to write the biographies of their founders, Marguerite Bourgeoys*, Marie-Marguerite d’Youville [Dufrost* de Lajemmerais], and Jeanne Mance*. In this way Faillon shared in the religious revival of the 1840s in the diocese of Montreal. His prolonged visits in Canada enabled Faillon to accomplish here a great deal of work important beyond the literary sphere. 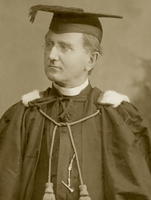 His biographies, it is true, were for him a form of evangelization, aimed at encouraging the Montreal communities to return to the spirit of their founders. Faillon, however, also turned his attention to the codifying of the regulations of these congregations; he even drew up a travel regulation for the nuns of the Congregation of Notre-Dame. When he became involved in the question of the division of the Montreal parish of Notre-Dame [see Ignace Bourget*], he also naturally took an interest in the smooth running of Sulpician affairs. During his third stay at Montreal, Faillon played an important role in the propagation of the cult of the Virgin. In July 1860 he preached at the inauguration of the church built in honour of Our Lady of Mercy. The miracles continued, and Faillon recorded prodigies attributable to the Madonna’s intervention. He visited those miraculously healed, going even to the pays d’en haut; he collected the testimony of doctors and confessors, and noted the amazing events; at Saint-André d’Acton (Acton Vale) parish priest Narcisse-Édouard Ricard pointed out five families that had received favours. Thus, in 1861 he declared some 30 miracles authentic and these were reported with enthusiasm in the religious press. In addition to spreading the faith in this way, Faillon was involved in developing the cult of St Joseph, both in Canada and in Europe. In 1843 he had published a tract entitled Sentiments de M. Olier sur la dévotion à saint Joseph (Saint-Denis, France), which was reprinted in 1854. Four years later 40,000 copies had been sold in Canada. In 1859 Faillon published at Montreal a voluminous Vie de saint Joseph, composée d’après les vues communiquées à M. Olier. . . . Faillon also played an important role for the church at Montreal in developing catechisms for first communion and catéchismes de persévérance. Nevertheless, Faillon’s major achievement is his Histoire de la colonie française en Canada, which he undertook seriously during his second voyage. He consulted the archives of the Montreal and Quebec communities and the notaries’ registers in the two towns. He was assisted by several copyists, who transcribed documents under his direction. In France, he completed his documentation at the Archives de la Marine and the Ministère des Affaires Étrangères. He also visited the great Paris libraries, and looked through the collections of Saint-Sulpice, the prefecture at Versailles, the archdiocese and prefecture at Rouen, and the British Museum in London. He thus assembled in 30 volumes in quarto documentation for a history of New France in some ten volumes. His achievement was more modest than his ambition: before his death he had published only the first three volumes of his Histoire de la colonie française. This monumental work along with his earlier biographies and his life of the recluse Jeanne Le Ber*, which appeared in 1860, represent some 4,000 pages published on Canadian history by Faillon. 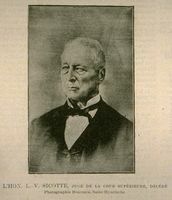 His Histoire appeared during the years (1864–69) he spent at Rome as procurator general of the society. He returned to Paris in 1869, and died during the disturbances of 1870. Educated within the church that had accepted the Concordat, and under masters who had experienced the revolution of 1789, Faillon allied himself with the aggressive and apologetic spirit of his time. He was profoundly attached to the cult of the Virgin Mary, and often dedicated his works to the mother of Jesus; he also wrote a Vie intérieure de la Très-Sainte Vierge . . . (2v., Rome, 1866). His faith in providence was exceptional; in his correspondence, as in his historical works, one has the impression that, compared with its omnipresence, “second causes” are of no importance. A witness of the French revolutions of 1830 and 1848, he came to consider these “misfortunes” as calamities willed by God for the sanctification of the church. The political upheavals of 1870 accompanying his last days brought out a leitmotif that in a sense was the synthesis of a life consecrated to God: “they will not take Jesus Christ away from us,” he liked to repeat to those at his bedside. Moreover, all his historical writings, as he recognized himself, were intended to be a literature of edification. His writings are, indeed, thoroughly impregnated with his profound religious convictions. Faillon’s characters act only at the dictation of God or the devil. In the last analysis, they are no more than instruments programmed according to the two cities of St Augustine: hence the miracles, apparitions, visions, and ecstasies succeeding one another in a rhythm that our secular mentality rejects. Providence intervenes everywhere, even at the most unexpected moment. For example, we know that the founders of Montreal encountered stiff opposition to their plans. Faillon explains it as providential, for it obliged the founders to write Les véritables motifs de messieurs et dames de la Société de Nostre Dame de Montreal; pour la conversion des Sauvages de la Nouvelle-France ([Paris], 1643). Without this document the providential origin of the founding of Montreal would not be known. Fire destroyed the first establishment of Marguerite Bourgeoys: Faillon sees here the hand of providence, for this misfortune allowed the congregation to set itself up in the heart of the town, a more suitable place than the port area in view of the later development of the city. Many examples of this type could be given. They would only illustrate more clearly the supernatural atmosphere that surrounds Faillon’s narratives. Faillon’s historical thinking cannot, however, be reduced simply to a belief in providence and exaltation of Christian virtues. His Histoire de la colonie française recognizes worldly reality. The only contemporary historian in the country with recourse to legal archives, he unhesitatingly presents aspects of criminality in Montreal. A number of pages on population and economic life contain little moralizing or reference to supernatural causality. Thus, to explain the small number of immigrants to New France, Faillon mentions the harsh climate, the absence of precious metals, and the poverty of the settlers, which was attributable to the monopoly held by those trading in beaver. If Canadian historians have often been indignant that the trading companies did not fulfil their obligation to promote settlement, Faillon notes without animosity that the merchants found a colony of trading posts to their advantage. Faillon makes interesting observations on ways of life in general. The history of labour, on the other hand, brings him back to moral reflections. In New France those in charge, like the ordinary settlers, got down to the job. The author sees this as an indication of social equilibrium since the privileged were not exempt from manual work. In the colony resourcefulness was born of necessity. Here Faillon detects the origin of the French Canadian handyman he observed in the 19th century. He ventures some discerning remarks about the quality of the labour force; he notes that Montreal had a better supply of specialized workers than Quebec. In short, economic and social history is not completely ignored by the Sulpician historian. It is unfortunate that the three volumes published stop in the 1680s, although the author had intended to continue his account to 1836. Other tasks absorbed him, and thus Canada was deprived of possibly one of its most complete historical syntheses. 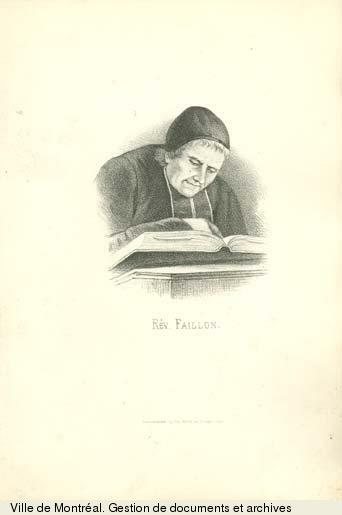 Faillon was read a great deal and has been often quoted. Despite a regional focus centred on Montreal that was the despair of the clergy of the city of Quebec, his work contains an exceptional wealth of information. His well-documented synthesis was a model for several Canadian historians from a methodological point of view. All things considered, Faillon’s historical thought and the strengthening of clerical structures kept pace with each other; the former justified the latter, and gave it a quality of legitimacy. 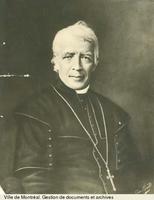 The ultramontanes, such as Bishop Ignace Bourget*, could see in his thought the justification of their struggle against the “liberal” bishops of Quebec. Hence the 19th century rivalry between Quebec and Montreal acted as a distorting mirror for the historians of New France. [Étienne-Michel Faillon left an extensive correspondence, as well as some important manuscripts. An inventory of the Faillon papers in the Archives de la Compagnie de Saint-Sulpice (Paris) appeared in ANQ Rapport, 1969. Several of Faillon’s letters were printed in Lettres à Pierre Margry de 1844 à 1886 (Papineau, Lafontaine, Faillon, Leprohon et autres), L.-P. Cormier, édit. (Québec, 1968). In 1948 the Grey Nuns of Montreal printed a work entitled Lettres adressées aux sœurs grises de Montréal, which reproduces the correspondence addressed to the community by Faillon. The Archives de la Congrégation de Notre-Dame (Montréal) also possesses some letters, as well as a travel regulation for the use of the community, from Faillon’s pen. Other letters are found at the Archives générales des Religieuses hospitalières de Saint-Joseph (Montréal), the Archives paroissiales de Notre-Dame de Montréal, and the ASSM. In fact only rarely does an old collection of private archives in Quebec not contain some of the historian’s letters; letters can be found, for example, at the ACAM, the ASQ, and the Bibliothèque de la ville de Montréal. Faillon, whose name never appears on the title pages of his volumes, is the author of a number of historical works on Canada. 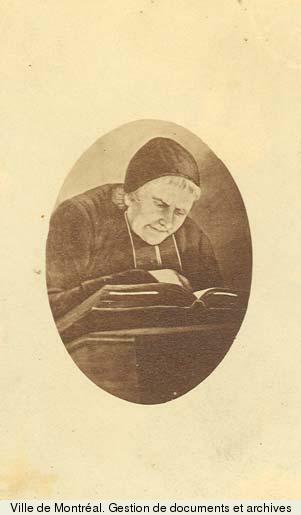 They include: Vie de Mme d’Youville, fondatrice des Sœurs de la Charité de Villemarie dans l’île de Montréal, en Canada (Villemarie [Montréal], 1852; réimpr. Saint-Jovite, Qué., 1971); Vie de la sœur Bourgeoys, fondatrice de la Congrégation de Notre-Dame de Villemarie en Canada, suivie de l’histoire de cet institut jusqu’à ce jour (2v., Villemarie, 1853); Mémoire pouvant servir à l’histoire religieuse de la Nouvelle-France (2v., Paris, 1853); Mémoires particuliers pour servir à l’histoire de l’Église de l’Amérique du Nord (4v., Paris, 1853–54); Vie de Mlle Mance et histoire de l’Hôtel-Dieu de Villemarie dans l’île de Montréal, en Canada (2v., Villemarie, 1854); L’héroïne chrétienne du Canada ou vie de Mlle Le Ber (Villemarie, 1860) (this volume was translated into English under the title The Christian heroine of Canada; or, life of Miss Le Ber (Montreal, 1861); and Histoire de la colonie française en Canada (3v., Villemarie, 1865–66). Archives départementales des Bouches-du-Rhône (Marseille), État civil, Tarascon, 30 déc. 1799. Serge Gagnon, “FAILLON, ÉTIENNE-MICHEL,” in Dictionary of Canadian Biography, vol. 9, University of Toronto/Université Laval, 2003–, accessed April 21, 2019, http://www.biographi.ca/en/bio/faillon_etienne_michel_9E.html.